A 19-year continue to haunt Turkish football team Galatasaray as they drew 1-1 with Fenerbahce in an away game at the Sukru Saracoglu Stadium. The match was played last night in the Spor Toto Super League. 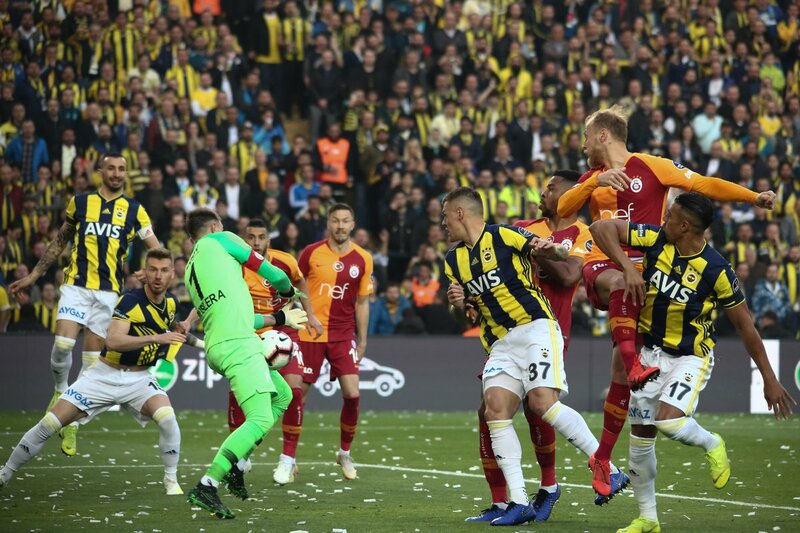 Galatasaray’s any game with Fenerbahce is dubbed the Intercontinental Derby as two major Turkish teams from the Asian and the European parts of Istanbul. The first half ended goalless at Fenerbahce’s home in Istanbul’s Kadikoy district. Despite Fenerbahce’s Hasan Ali Kaldirim given a red card in the 45th minute, the Yellow Canaries finished the clash with 10 men and managed to get a draw at home. Fatih Terim’s Galatasaray couldn’t take advantage to beat the home team to narrow the five-point difference with the league’s leader Medipol Basaksehir as the Orange Navy-Blue lost to Besiktas on Saturday. Henry Onyekuru scored Galatasaray’s first goal in the 66th minute with a header. Fenerbahce leveled matters with Eljif Elmas’s 71st-minute strike. The derby match ended 1-1, and the draw frustrated Fenerbahce as they remain on 14th position with 33 points. Galatasaray has 56 points, five points away from the Super League leader Medipol Basaksehir. Galatasaray is known as Turkey’s most successful team in international games, yet it has not been able to beat the Yellow Canaries at Fenerbahçe’s home ground in the last 23 away matches for the past 19 years. Another Turkish giant Besiktas defeated leading team Medipol Basaksehir 2-1 and raised its score to 53. The Black Eagles are third in the Super League rankings. Erdogan referee touch for Basaksehir’s winning ways?